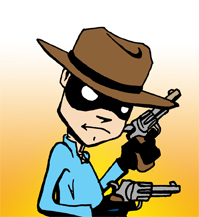 I got my new batch of Retro Cowboy Sketch Cards in, as such I am opening up the Commissions. See the side bar for the details. Here is what the cards look like without any art on them. Now just imagine how much cooler they would be with something you’d like to see drawn on them. However, if you are not into Sketch Cards I am open for larger commission too. How large? Well the pricing on the side bar only goes up to 9X12, anything larger email me and we can work out the details. Thanks for stopping in. Drop me a line if you feel so inclined. Yup, that’s me. Or, at least that is my avatar. 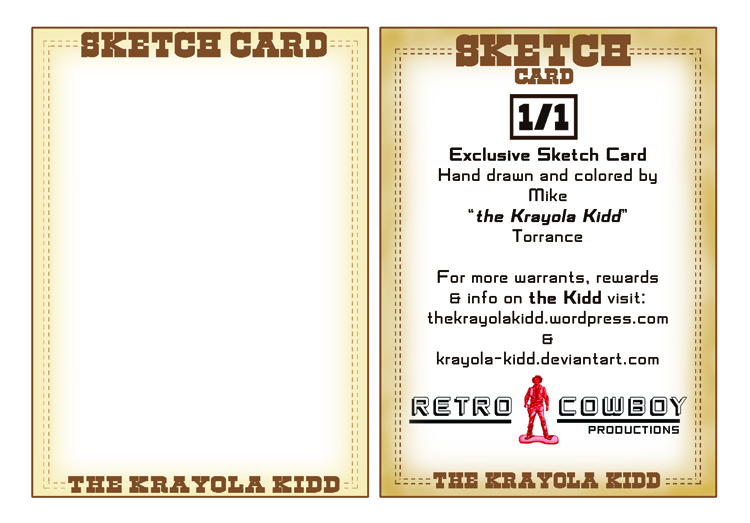 I want to thank you for stopping by and I hope you will continue to come by and see what is new with the Krayola Kidd. Please click on the links either above or to the right to navigate this site and see what I have posted in the galleries. As always, drop me a line if you have any questions.